Thanks to Skype video conferences we're able to work companies all over the world. 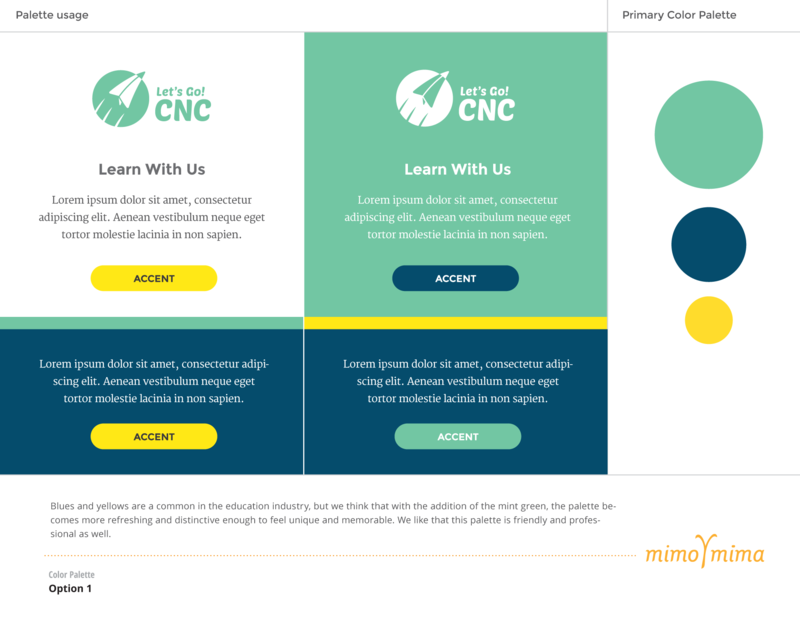 CNC is an educational consulting company based in South Korea. They work with Korean and Chinese students who want to study in American high schools or universities. It was important to them that their brand would be appealing to a broad range of people – from the parents who book their services to the universities in the US or the students themselves. We summed up what CNC does with a playful yet professional looking logo that mixes an airplane with a pencil. "[mimoYmima] only showed professionalism and often over-delivered on quality and quantity. I hope we can continue working together on future design projects."